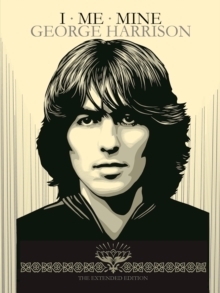 Cherished by fans and collectors, I Me Mine is the closest we will ever come to George Harrison's autobiography. This new edition has been significantly developed since the 1980 original; now printed in color, and with previously unseen archive material, the book covers the full span of George Harrison's life and work. Featuring George Harrison in conversation with Derek Taylor, I Me Mine delves into everything from Harrison's upbringing in Liverpool and the growth of early Beatlemania, to his love of India, gardening and racing cars. With over fifty archival photos, Harrison's words, and his song lyrics, this book offers an insight into the musician's life, work and philosophy. I Me Mine: The Extended Edition presents the lyrics to 141 George Harrison songs, with handwritten lyrics beautifully reproduced in facsimile, accompanied by Harrison's uniquely intimate and humorous commentary. This edition has been expanded to include 59 new songs; as well as tracks written for The Beatles, it also contains lyrics from Harrison's solo career, including his albums All Things Must Pass and Brainwashed.